Did you know that the state of your mattress may affect how well you sleep at night? Regular mattress cleaning is an important chore that most of us tend to put off or even overlook completely, often to the detriment of our health. Do you or someone in your family suffer from sleep related problems? Are you aware that sleep problems may be caused by the unhealthy state of your mattress? The classic example is where you feel fine until the moment you settle down to sleep. Then your problems may start – perhaps with sneezing or a runny nose. Or it could be an annoying tickle in your throat, leading to constant coughing and even causing an asthma attack. Believe it or not, this can be a regular occurrence for many allergy sufferers. All these nasties accumulate on your mattress over time. According to the Australiasian Society of Clinical Immunology & Allergy, many Australians exhibit allergic sensitivity to dust mites, with the highest percentage in high humidity areas (ideal for dust mites) in summer. Dust mite numbers in a mattress can range from 100 000 to 10 million with the average female living around 60 days and producing around 2000 droppings! 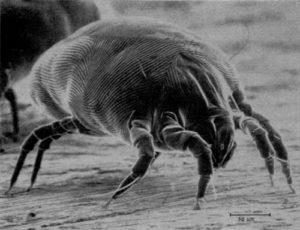 The dust mite waste contains a protein allergen which is the allergy trigger. 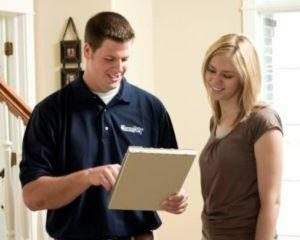 What makes Chem-Dry mattress cleaning and restoration special in Northern Beaches Sydney? Bacteria free mattresses. We clean the entire mattress (side, back and front) as well as treat the mattress with a sanitising chemical which is a disinfectant. The sanitising is done with state-of-the-art antimicrobial solutions. Ugly stains are often removed. With our specialised stain removal service, Chem-Dry restores your mattresses, leaving them smelling and looking clean and fresh. Rapid drying cleaning processes are used so you can use your bed only a few hours after the cleaning has been completed. Our low moisture steam cleaning process gets great fast drying results. Allergy sufferers can choose our additional dust mite treatment or mould removal service. Combine the World Class cleaning solutions with experienced mattress cleaners and you will get one of the most effective mattress restoration services in Australia. Book your mattress cleaning now! !